The Baby Blue & Baby Pink mixes are all small buttons, and the Lace mix has buttons of all sizes. The prices are good too - just £1.25 for 50g ....or £2 for 100g! this weekend was a weekend of two halves - Saturday I spent HOURS doing the accounts *yawn*, but it meant I had the whole of Sunday to sew - yippee! the buy 3 for the price of 2 offer on sewing threads is still live but will be gone tomorrow, so best be quick if you need some bargain threads. click here to read the details. click here to see the threads. When I launched my 40% wool felt last year it also meant that I changed the colours of threads I sell - but I didn't update the photos and, as all my website shoppers will know, when they bought threads the photos were of felt colours, rather than reels of cotton. Which is, quite frankly, a little bit rubbish. But today I have finally rectified this - I have photographed all 45 threads, alongside the felt they match, AND I have a special offer too! If you buy two reels of thread you get a third for free - it's a wonderful way to celebrate right? All the thread colours are well stocked as I type, but it is first come first served - offer ends on Monday 29th April (or before if all the thread is sold!!) I will definitely be re-stocking all the colours so you'll always be able to get matching threads. buy two reels of thread and get the third for free! PS you can see all the codes on the website too! PPS if you fancy stocking up and buy a thread rainbow please use the code Ibought45 it will reduce the price from £69 to £44.25. Which is a total bargain! I think this tutorial has been waiting for some sunshine - sewing all of these colours whilst sitting in the sun was so much fun - the perfect crafty pick-me-up! If you would like to make your own bunch of ever-lasting flowers then this is the blog post for you! buttons - in all sorts of sizes and colours, the more the merrier I think! 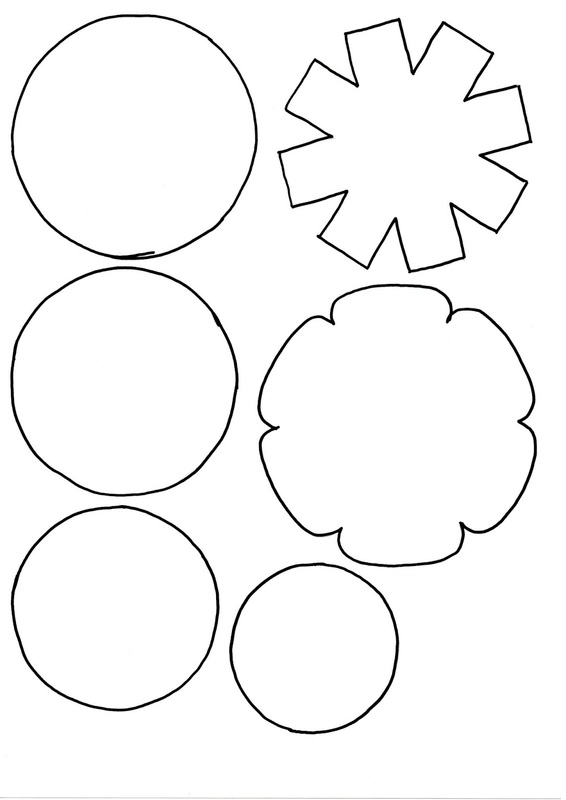 To start - cut out lots of felt flower shapes using the templates. 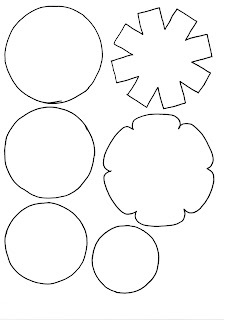 There are no set colour combinations, or any limit to which shapes to use - the choice is entirely yours - when cutting the felt out I cut two layers for each flower shape, but only one for each circle - the circle flowers are all made with 3 different size circles which makes them sturdy. To give the circle flowers some more oomph I stitched all three layers together in the centre with a ring of running stitches (imagine there is a 2p piece in the middle of the flower and stitch around it)...pull the thread tight and the flower will gather and become 3d. Once all your flower shapes have been cut out and you've gathered your circle flowers you can start embellishing - you can add buttons, fabric scraps, fabric yo-yos, embroidery stitches - whatever you fancy doing will work! Once all your flowers are embellished you need to attach the second layer (the back) of your flower shapes (remember you cut 2 of each earlier?) I used felt glue but you can stitch them together round the edge if you prefer. Next you need to wire them - just like a florist would. I had some wire & wire cutters in my old art box, if you don't have any ask around - someone you know will have some in the shed somewhere! I cut a long length and folded it in half, carefully poked it through my stitching (see the little loop on the left?) and then wrapped and wrapped and wrapped until the whole stem was wired. I left all of my stems quite long and folded them at the bottom so they are the perfect heights for my vases - that way I can re-arrange in the future and none of them will be too short - of course I only figured this out half way through, but most of them are left long! I filled my vases with buttons because I like buttons, but you don't need to do that...nor do you need to get out in the sunshine and take photos of your flowers, but if you do I (and my readers!) would love to see them! ...finishing touches, photographs, some instruction typing and the tutorial will be ready - after all this build up i just hope you like it! ...they are Brights & Pastels - and each bundle has half a metre per colour. The packs come in 10 colour ways and 5 different sizes - 6", 12" or 24" squares, mini rolls or half metre cuts - I sell tonnes more 6" square packs than I do half metre packs! If you had one (or both!) of these what would you sew? look at all these bright colours! my voice is back - hurrah! Since I last mentioned my latest tutorial here I have made no more progress *sigh*- but today felty colours and buttons have been selected and patterns/templates have been drawn up - and tonight, after a little sewing for orders, I will make a start....and so far this weekend is free for sewing and I plan to use it fully ! There will be a tutorial - soonish! I figured that whilst I am stuck in the land of silence (oh yes, I am still voice free!) I may as well tackle the VAT return....it's the last one as a sole trader and the first one with EU sales that are zero rated so I really had to concentrate! I have done it but it's not submitted because I have asked my accountant to check it - I think it's OK but it's good to make sure! Tomorrow I will do something fun. With proper buttons, not fake-o pretend-o calculator buttons. This weekend the nasty cold/virus thing that's doing the rounds came and found me. It was particularly bad timing because yesterday was John's birthday - we did still manage a couple of hours out and about in the sunshine with some nice birthday food and some cold beers (for John). I also did a lot of napping and some resting on the sofa in Pj's...... and today I feel fine, full of beans and ready to work - but my voice has gone!! Sometimes I sound like a goat, sometimes like a squeaky thing, other times there's no sound at all!! It's a bit weird because I like to talk. Even when there is no one else here I talk to myself - one good thing is that I don't need to be able to talk to pack the parcels, and boy did I do a lot of that today! PS chocolate birthday cake doesn't work as medicine and magically give your voice back. PPS nor do Custard Creams! The teeny tiny buttons ta-dah! The Teeny Tiny Buttons are finally back! 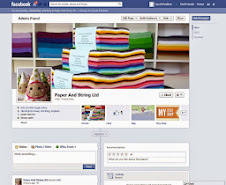 They are now available in 45 colours - which are dyed especially for me, to match all my felt colours. The ever popular 2 hole version has been joined with a teeny tiny 4 hole version, which also come in all 45 colours - did I mention that the colours match the felt I sell? ...although I think you'll have a hard job picking a single colour! They are all so glorious! They also come in packs which match my felt colour packs - good idea huh? ...I just love them all! glorious, amazing, fantastic new buttons! PS: there are 202, 500 buttons on that table - I'm in button heaven! !